Moving offices is the big undertaking in itself, and careful consideration should be taken about how you will move your IT into the new office. Will you be upgrading some of your IT equipment during the move or simply moving across what you already have? 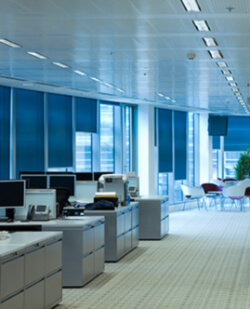 ITswitch has helped many business in Melbourne, and throughout Australia move their offices. We have an experienced team of IT consultants who can closely work with you to look after all facets of moving your technology to the new site. Our professional advice on moving your computers and IT systems can help you avoid any unexpected hurdles and simplify the moving process. ITswitch has completed many site moves for all types of IT environments, including offices, warehouses, and factories. A common request when moving the email servers is to be able to minimise email outages, so customers and suppliers do not receive bounce when trying to send you email while you are in the middle of a move. We are able to queue and hold your incoming emails whilst your system is offline. We provided can also help you choose and setup the internet connection at your new site, and organise the cabling to be installed in the new office. We can provide IT services for you to move your business including cabling, phone systems, powering off servers and network equipment and installation of your IT hardware at the new site.